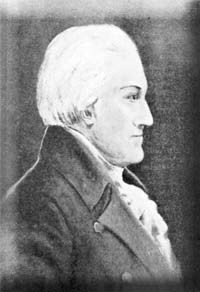 The Writing of Major Henry Livingston, Jr. There are currently approximately sixty-five pieces of poetry identified as having been written by Henry. Of those we have in manuscript form, some have been published anonymously, and some under the pseudonym "R." That means we can identify other poems by "R" as being by Henry if they are in one of the publications where he was guaranteed to have published. Henry never published a poem under his own name, though he did attach his name to drawings that he wrote to go with prose pieces published under that same pseudonym or anonymously. The earliest known poem we have is in a letter Henry wrote home from army encampment, having had to leave his wife with their week old first baby. The last poems are written at the age of 78, and the spirit in those poems is just as fresh and bright as in the ones he wrote in the vigor of youth. 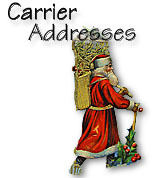 A lover of the holidays, Henry would each year write a New Year's Carrier Address for his local newspaper. The news carrier would hand the poem out to customers and get, in return, his yearly tip. 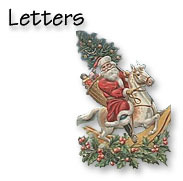 In the poem Henry would summarize the news of the previous year. 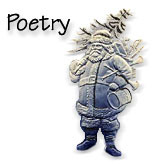 Typically, Henry's poetry style changes throughout the poem, but there is usually a section of anapestic rhyme similar to that in Night Before Christmas. Henry's prose pieces are all over the board. Some are scary stories that you can imagine being told to his children by candlelight. Some are so tongue-in-cheek you're left in confusion about whether you're being had or not. (Hint: you usually are!) But it's in his prose pieces that you see the range of his work - from the very best to the very worst. To help guide you to the very best, look for the stories with the gold star! 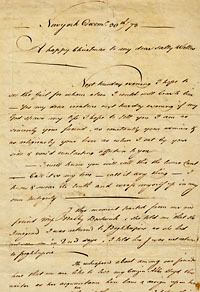 John Jay's wife wrote in a letter that Henry Livingston "broke bulk" in the volume of letters he was sending to them. The number of pieces of poetry and prose that Henry wrote might also have fit that description. 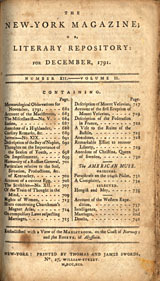 In February of 1791, Henry began having his writing published in the New-York Magazine; or, Literary Repository. The only issue that didn't include Henry's work that year was August. 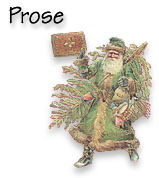 In all, he submitted 17 pieces, and a few other poems might be his as well. It's heartbreaking that we have so few letters from Henry, but those that we have show the warmth and affection that he scattered freely among those he loved. You'll find wise advice, and insatiable curiosity, and an abiding trust in the promise of the future. 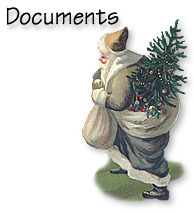 The New York Historical Society has Henry's Day Book, which gives his day to day expenses over many years, but the book is considered too fragile to copy, and typing in the entire book has just not been practical to date. What has been typed is available within a detailed timeline of Henry's life, but some pages from that book do exist in the Thomas Collection. We know of other materials that have not yet surfaced, such as the book in which Henry noted day to day anecdotes.